Nyayamakad is a beautiful waterfall on the way to Rajamala almost 10 kilometers away from Munnar offers fine trekking options. A lot of travelers visit this picnic spot in order to watch its stunning cascade that falls down from a height of around 1600 meters. Visiting this picturesque spot can be a majestic experience. 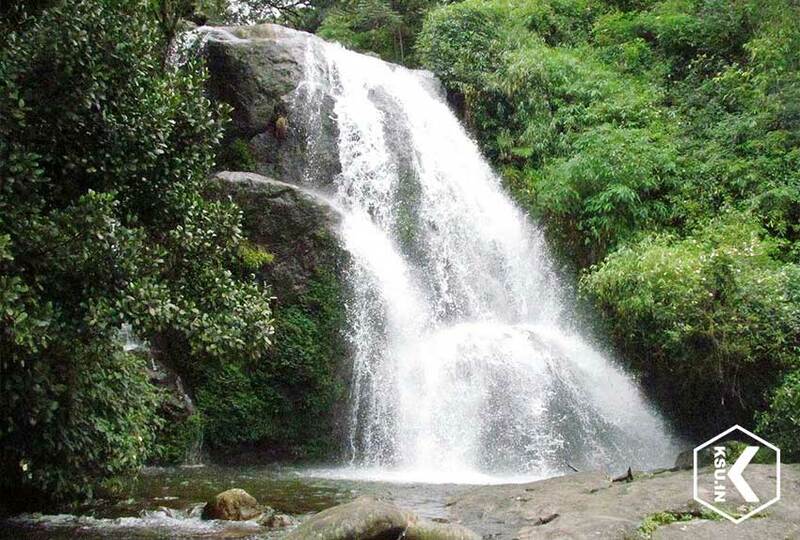 Nyayamakad Waterfall can be a good halt during your trip to Rajamala. Add this scenic spot in your Munnar itinerary. The best attraction of Nyayamakad is its beautiful waterfall. Munnar has a number of astounding waterfalls and this is certainly a popular one among them. A lot of travelers visit this region in order to watch this eye catching waterfall. Besides, the blissful nature surrounding the cascade also attracts visitors. It can be a good stop over for people who travel to Rajamala and Eravikulam National Park. Travelers will also love to watch the beautiful views of Munnar valleys from this spot. One can view verdant greenery and beautiful tea plantations on your way to Nyayamakad. It must be a beautiful experience to watching women who pick up tea leaves on your way to the waterfall. Travelers can enjoy thrilling activities during their trip to this picnic spot. The region is famous among adventure lovers because the area is famous for trekking. A lot of people choose this area to enjoy rock climbing. If you love fishing the gravel banks of the famous Nyayamakad Estate provides amazing opportunities for angling. Visiting the Nyayamakad Waterfalls can be a refreshing experience for the visitors. In fact, it can be a beautiful picnic spot for many locals and visitors. If you want to see the real beauty of this waterfall, visit the area anytime from October to April. This is the right time to enjoy the pleasant climate and exotic environment. It is a favorite spot for many honeymoon couples and group travelers. It is among the most preferred tourist attractions in Munnar. Reaching Nyayamakad will not be a problem for travelers because Munnar is well connected by road. Travelers can take buses or hire taxis or auto rickshaws from Munnar to reach this picnic spot. The State transport corporation, KSRTC, runs several luxurious buses particularly for tourists to Munnar from most of the major cities and towns in the state. The nearest airport, Kochi/Cochin International airport is almost 105 kilometers from this picnic spot. Ernakulam railway station is nearly 106 kilometers from Nyayamakad. Make your trip to Munnar convenient through us. Log on our website www.ksu.in to get more details about this tourist destination and plan your trip.